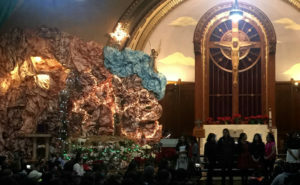 Join Us for Christmas and the New Year at St. Pius V! We invite you to celebrate Christmas and the New Year with us at St. Pius V parish! 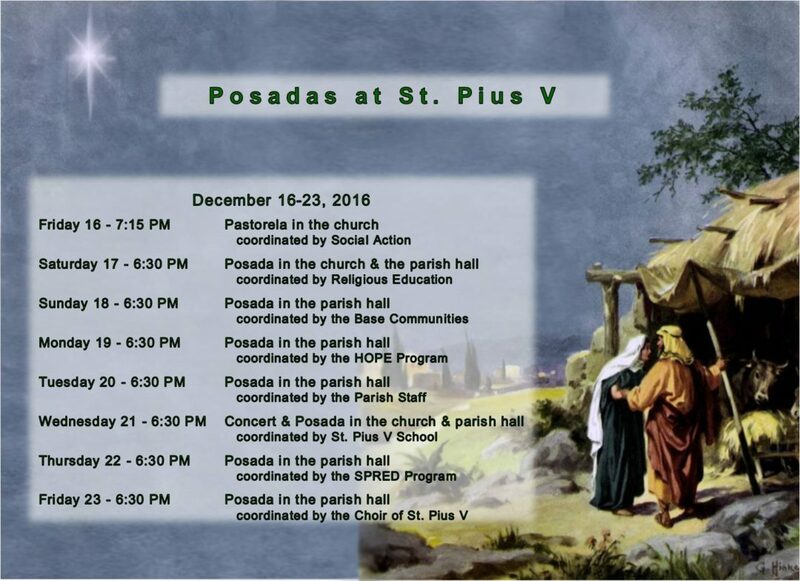 Celebrate the Posadas at St. Pius V! 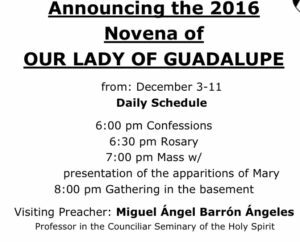 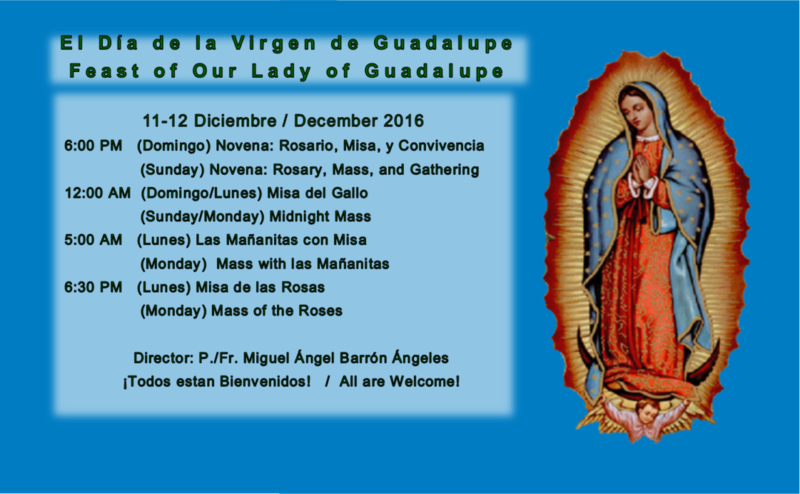 Our Novena in honor of Our Lady of Guadalupe has begun and continues through the feast day on December 12.